﻿ Best Price on Hotel Astor in Retalhulehu + Reviews! 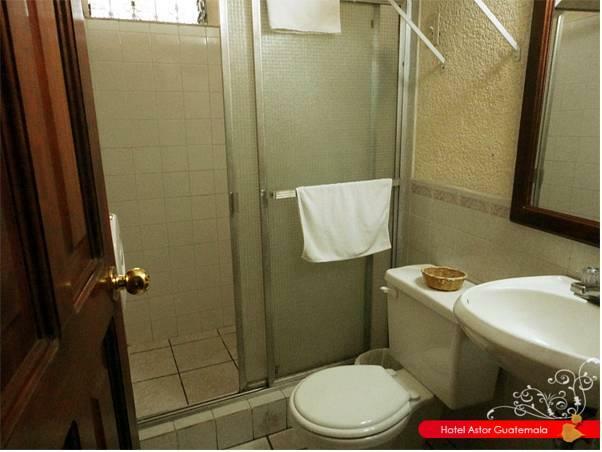 Hotel Astor is a colonial-style property that offers its guests complimentary breakfast, an outdoor pool and has a hot tub. It is located in Retalhuleu, 2 hours and 40 minutes’ drive from Guatemala City. The air-conditioned rooms have colourful beddings and wooden furniture. They offer cable TV, garden views and private bathrooms with showers and free toiletries. The restaurant at Hotel Astor specializes in local and international-style dishes. There is also an on-site bar and room service is available. Within 100 metres guests will find other restaurant options. Hotel Astor can contact the guests with local tour agencies so to arrange trips and outings. La Galera Bus Station is 750 metres from Hotel Astor, and the town centre is 2 minutes’ walk away. Champerico Beach is an ideal surf location and can be reached in a 30-minute drive, as well as the mangroves and Takalikabaj Archaeological Site.